Holding down the wicker love seat is a tough job, but somebody has to do it. 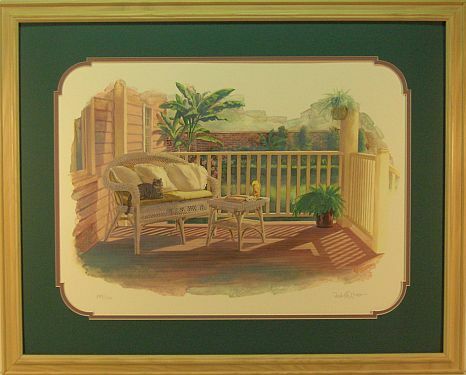 Perfect for displaying in your den, sun room or anywhere in your home! Image Size: 14 " x 21 "
Frame Size: 9 5/8" x 15 1/12"